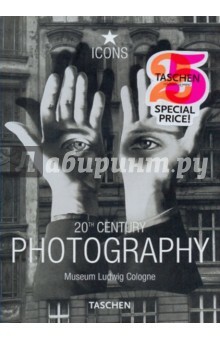 Аннотация к книге "20th Century Photography"
"Defining images of photographic art in this century." -Photo Art International, United Kingdom. The photographic collection of the Museum Ludwig Cologne is one of the most important collections of contemporary photography in the world. This book provides a fascinating insight into its rich diversity: conceptual art, abstraction, reportage - about 200 works works by around 100 of the 20th century's most famous international photographers, from Ansel to Joel Peter Witkin.